K2 s lightest men's boot, the K2 Ryker Snowboard Boots are back for 2016 and continue to offer great value in a medium flex freeride boot. 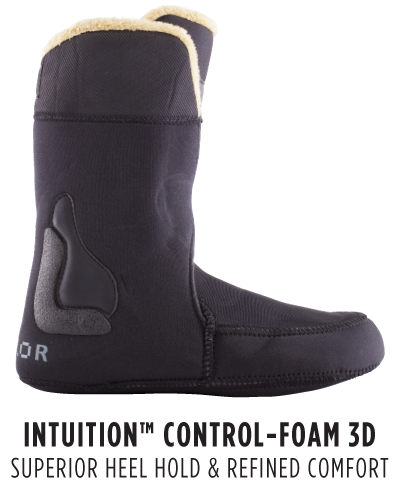 You get the Boa® Coiler lace system, an incredible Intuition™ Control Foam 3D liner, and the shock absorbing goodness of a Harshmellow™ sole in one great package. K2 Single Boa® Outer Lacing – The boa dial(s) deliver a micro-adjustable, precision fit. Simply push it in and turn. It offers nearly infinite degrees of tuning, on-the-fly. Phy-Lite with Harshmellow Outsole – Formulated for long lasting impact absorption and vibration killing, the same Harshmellow material used in boards and bindings can be found in K2 boots. Harshmellow is integrated into the heel and forefoot areas, minimizing rebound and making landings softer and more controlled.